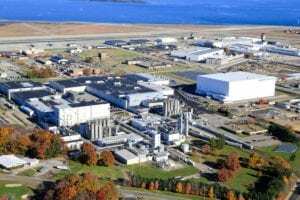 Toray Plastics (America), Inc. (www.toraytpa.com), a subsidiary of Toray Industries, Inc. (Toyko; www.toray.com), is investing in a new, state-of-the-art 8.7 meter oriented polypropylene (OPP) film line located in North Kingstown, Rhode Island. The expenditure marks the next phase of Toray’s multi-year strategic plan, begun in 2016, to expand and automate production capabilities in order to meet customer demand and maintain its leadership position. The new capacity is targeted for packaging, label, medical, and industrial applications. Toray anticipates start-up in 2020. “Toray’s commitment to our customers is unwavering, and this expansion continues our path of innovation and growth,” says Christopher Roy, Senior Vice President and General Manager, Torayfan Division. Roy notes that this expansion project features the construction of a new building to house the OPP equipment. Previously completed projects include the construction of a second cogeneration system, automation throughout the plant, including a fully automated packaging line, and the construction of a 28,800-square-foot facility to house a new, high-speed 4.5-meter metallizer.